Over the next five days there are four concerts and two panel discussions well worth seeing. The first four days were setup by Seattle Improvised Music, so much thanks to them for continuing to bring great musicians to Seattle. The fifth day is a west coast tour from NYC based Delicate Sen, who will be playing a number of other shows. Additionally lot of these musicians are also playing Portland (probably already have I’m afraid) and some will also be doing (or have done) Vancouver, so if you are in the PNW but outside of Seattle check around. Anyway I’m going to try to make most of these shows, but will definitely not be able to make it to tomorrows panel discussion (2pm Friday afternoon – I wonder who is expected to make it?). If anyone reading here does make it to that panel let me know how it goes. So I went to the first of these shows last night (the only non-performer in the audience – c’mon Seattle!) and it turns out that these shows are also including local improvisers. I don’t think the lineup will be the same for all nights but last night it included Gust Burns, Wilson Shook and Mara Sedlins. I think Gust and Wilson at least will be playing tonight and tomorrow possibly with other locals. This weekend is the first of two weekends for this years SIMF. Once again there is a lot of music packed into the two weekends, even more then normal as this year some sets feature multiple performances. I’ve covered the festival at length the last few years and once again I do intend to attend the bulk of it. As usual the festival brings in a number of national and international improvisers and showcases them within their own contexts (solo or their own projects) as well as in various combinations with regional improvisers. The two halves of the festival feature different groups of guests and locals with some overlap with the locals. The second half seems to still be up in the air; previously there was a number of shows listed with Micheal Thieke, Kai Fagaschinski and LÃª Quan Ninh that are now all TBA. [ed: not TBA at all, see comments for hints to why]. The first half features Greg Kelley, a fantastic trumpeter from the east coast in various combinations with regional players. 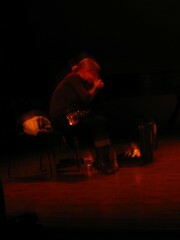 Kelley, one half of nmperign, plays trumpet in about the most extended manner possible, working in small, spare sounds, sometimes augmented with simple preparations and the occasional electronic effects. The first performance he is involved with is highly intriguing: a trio with Kelvin Pittman and Doug Theriault. Pittman is a great sax player from Portland OR, who is a versatile player that I’ve seen in numerous contexts but have enjoyed the most his abstract work that doesn’t at all remind me of Butcher, or Rives or Wright. 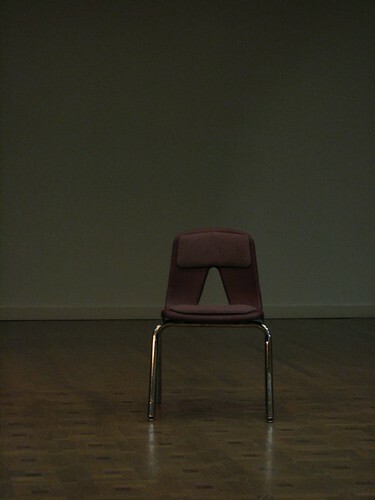 Theriault, I haven’t seen in a long time and am quite curious what he is up to now. A curious mix of guitar and “live electronic music systems” which IIRC are semi-autonomous software programs he interacts with via his guitar. In this set along with this trio, will be Andrew Drury, a NYC based percussionist, performing solo. I’ve heard Drury in a couple of combo’s, but am not really up on his sound so I’m looking forward to get a chance to become familiar with his work. The second set features Kelley with the Gust Burns Quartet, whom I’ve seen before and quite enjoy. Kelley’s minimal, sound oriented playing should meld perfectly with this quartet and is definitely a set I’m looking forward to. Performing solo this set, is MA based vocalist Liz Tonne. I have not enjoyed the work of hers that I have heard in the past, either solo or in combination, but I know she has her fans. You can download a track from her (and also Kelley) from the excellent Music Overheard comp to a preview.. The final set is Christine Sehnaoui solo, apparently a France based Saxophonist whom I’m completely unaware of (always exciting!) and the ubiquitous “large group”, which presumably is all of the nights musicians performing in one large group. Somewhat of a cliche for these types of festivals, but one that SIMF has not indulged in for the last few years. But it is back in force, with each night ending with this. New this year is the solo along with a group for each set. This is interesting I think, especially as these solos tend to be pretty short. It guarantees a full evening of music and the festival is starting early (7pm) each night to accommodate this. The next two nights involve various combinations of the players introduced on this first night. Greg Kelley solo is sure to be a highlight and I’m curious about Pittman and Theriault’s solos as well. I’m not sure how the Kelley/Drury/Wally Shoup trio will work out: Wally Shoup is more of the fire music class of the free jazz school and I’m not sure how Kelley will fit in with that. 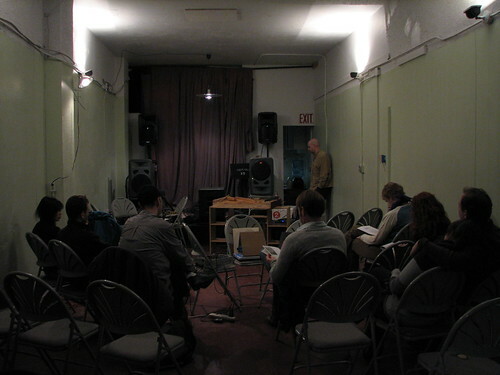 I’m looking forward to the the Sehnaoui/Kelley/Theriault/Burns quartet curious how Sehnaoui’s “personal language of electronic music on an acoustic instrument” will work out with Kelley’s minimalisms, Theriaults electronics and Gusts dry tones. It is looking to be another strong year for the SIMF and I’m definitely looking forward to a number of sets and am curious about several more. If you can only make one day, I’d make the Friday that day, but there are great looking sets every day. Additionally there are workshops and roundtables, though no details about those have been released yet. I got home from the last night of the second half of SIMF and seven hours later left for a business trip in Austin. As I was actually sent there to work and the travel was pretty exhausting I wasn’t able to get to blogging this second half of the SIMF until now. Plus I left my notes at home. So with such a passage of time I am going to forgo the more in-depth writeup of the previous three days and just present a rough overview of each set from the final three nights here. One aspect of the festival didn’t really reveal itself to me until the second to last day of the fest: the first half was string oriented and the second half was horn oriented. Perhaps dictated somewhat by the vagaries of the traveling musicians this was clearly a reinforced choice and an interesting one. I have to admit that for me horn players have a much higher threshold to cross, the range of sounds that have typified these instruments hold little interest for me in an improvised context. True, the guitar is pretty much a walking, talking cliché machine but a lack of creativity on the guitar tends to evoke boredom in me, with a horn it tends to make me cringe. That being said some of the most creative current music is being done by wind instruments and as always it is the sound that interests me not the source. I’d seen Liz play trumpet at No West last year and I thought in general her performance was mixed. Too much reliance on the easy route of volume and overly theatrical for my taste. Christ DeLaurenti, whose Favorite Intermissions from last year was a favorite was more of a wild card; just what would he do in an improvised music context? Well he had a mixer with a bunch of things plugged into it but he almost exclusively played a pocket trumpet (or cornet) along with Liz’s trumpet. 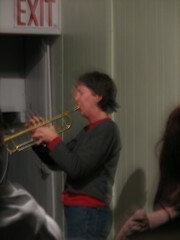 Chris stayed pretty tasteful throughout on the trumpet working with long low hisses, sputters and rattles. Liz though did not and while she would use sound oriented techniques they were just another thing to work through as she moved on through Donald Duck sounds, flatulence, ironic melodic segments and so on. Ironic detachment and a lack of genuineness is what I really felt in her work and that’s not really what I’m there to experience. The second set completely moved away from any sort of restraint with Wade adding in the most clichéd quick cut DSP sounds and absolutely trite field recordings. Add to this Liz, in pretty much the same mode as the previous set, but with all restraints gone. Greg is pretty much a free jazz guy and makes no bones about it. So IMO that’s fine, I may not be so into that but its his thing and he’s good at it. However this set was soul crushing with what seemed just like a cacophony of egos. The night had been grim so far but it was totally redeemed by this last set. 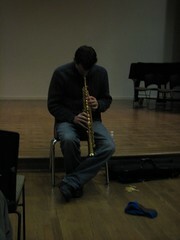 Stéphane put a chair right in front of the audience and sat down with his soprano saxophone. With the bell pressed firmly against his leg he proceeded to produce and intense continuous sound. This pure tone, modulated by his circular breathing, taps on the keys, slight movements and his very endurance was entrancing. He stopped only to change reeds once and then another time when he decided to change techniques. He wrung incredible sounds out of this sax and in displayed incredible control and stamina. Really a great set and I went home and ordered his solo CD the next day. This night opened with its strongest set and which was one I’d been waiting fore. Gust was working his doweled piano as usual and Stéphane mixed up his long tones of the last night with blasts, gasps and messed with tones. Some incredible parts where Stéphane’s tones merged with the rougher tones of Gusts doweled piano or when the rustling leaves sound from Gust would provide a base for the guttural gasps where Stéphane would slap his keys while forcing air through his trumpet. Not too long a performance, but one where every sound counted and the movements between sound formed a structure that captured my attention. Trumpet, Clarinet and Soprano Sax was what this trio was made up of. This was the point where I figured out the horn orientation of this half of the festival. It seems to be an obvious programming choice but I never am a big fan of the like instruments pairing. This was well utilized in this half of the fest; duo trumpets from yesterday and now the wind trio. Things are more interesting in my mind when contrasting sounds are paired, but like I said it is so often done, I must be in a minority. Anyway this set was definitely not to my taste. Liz played pretty much the same stuff as before which I’ve already expressed my distaste for. Tyler was much more tonal and worked with longer tones and more traditional extended techniques then Stéphane on the same instrument. A pretty good player, but two soprano saxes seemed a bit much for the weekend I think. Jonathan’s playing I have seen a number of times and he is a creative, sensitive player whom, I always enjoy seeing play. In this conflict of horns he was more aggressive then I’ve seen him before, though in the only redeemable part of this set he played long continuous low drones on a bass clarinet. I was very curious about this final set as Wade and Stéphane are an established duo and seem to be touring the states. Wade only had one laptop for this set and the other one appeared to be the one with the field recordings. 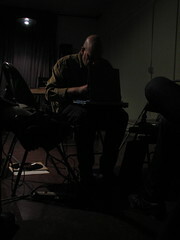 In general his Reaktor playing was much more tasteful, restrained and complementary to Stéphane’s playing. This set was quite nice, with the digital warbles, tones, ticks and statics blending interestingly with Stéphane’s long tones, gasps, rattled winds and sharp blasts. You could tell they’d played together, they brought in sounds they knew the other could play off of and the worked together to construct a piece of music that was engaging, rich and complex. Definitely one of the better sets of this half if not as appealing to me as Stéphane’s solo and his duo with Gust. This evening began with basically a free jazz trio. Greg had a full drumkit and while he began with a subtle playing of gongs a full on jazz freakout was in the offering. Lesli, who is a stalwart in new music circles, laid out for some time before ripping it up in various ways once she joined in. Wade was back on the dual laptop setup was pretty much like he been in yesterdays trio: aggressive DSP quick cuts and that same collection of trite field recordings. For what this was this seemed okay, just not my kind of thing. One of the reasons for this is the reliance in free jazz (actually I’d say this was more EFI) of these quiet sections almost exclusively to emphasize the chaotic freakouts. This gives all pieces like this the same feel and a boringly predictable structure. For her solo Liz mixed it up by beginning with Lesli and herself on non-trumpet, wind based noisemakers, Lesli on some sort of long twisted tube and Liz on conch shell. They walked up the side of the audience with their skronks, bleats and gasps. Lesli sat down and Liz moved into her usual theatrical trumpet playing, working with her blasts of air, ironic melodic fragments and humming through the horn. After a bit of this she then switched to laughably bad electronics. A collection of pedals, a CD player and what looked like some of those low-run pseudo-DIY devices was her tools for some of the most trite looping, cheesy noise and damaged CD faux circuit-bent sounding stuff. Amateurish and rather dreadful, but thankfully short. The festival ended with duo soprano saxes, Wade’s laptoppery and Chris no playing what looked like a homemade turntable plus various other gee-gaws. This had some real interesting textures to it though I’m not sure I’d say it ever really gelled. Chris put in some serious rumbling noise and Stéphane and Tyler would emit blasts and skronks to compete as Wade mixed in his usual combination of sound. It had a nice factory like effect at times, and never fell into a rut. The duo sopranos wasn’t very necessary and it seemed like Tyler was often following what Stéphane was doing. They played two pieces the second one quite short but I think more successful. It was very textural and for once Wade’s sample of traffic on a highway really fit in well. The saxes just provided sheets of air along with the traffic sounds and Chris put in this very mechanical sound from hand cranking a record on his homemade turntable. This piece was quite nice and a good way to end the fest. This second part I didn’t find to be as strong as the first half, but still there was four solid sets in the nine and that really is a decent percentage. Others I’m sure found a lot more in the other sets as well and lord knows I don’t expect these festivals to cater directly to my tastes. Considering how much of the first half I enjoyed I’d say I got more then I deserved. For all of my photos check out my SIMF 2008 set on Flickr and for all of my SIMF reports click here. A Spiral Cage is powered by	WordPress 4.6.14 and delivered to you in 0.340 seconds using 22 queries.